No one can refuse to receive freebies. 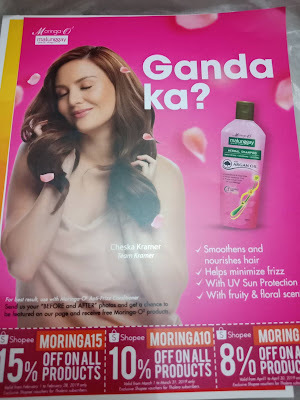 If you have read some of my posts, I've shared some freebies that I have received in the past. Those are the things given without charge. Some brands offer free products for you to review first and be the first to try. 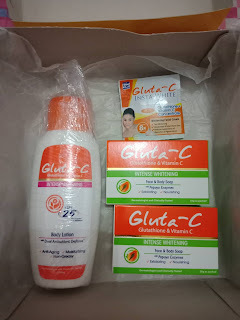 Some of the products I received was from joining contest and giveaways online. Nowadays, it's kinda hard to win because of so many people now trying their luck, too. It's a blessing to know that there's a subscription box monthly to be delivered at your doorstep and you can have it for free. Yes, absolutely free at Thalera! Something that I look forward to monthly. A free gift to myself. A surprise gift that I really don't know what's inside. Exciting! 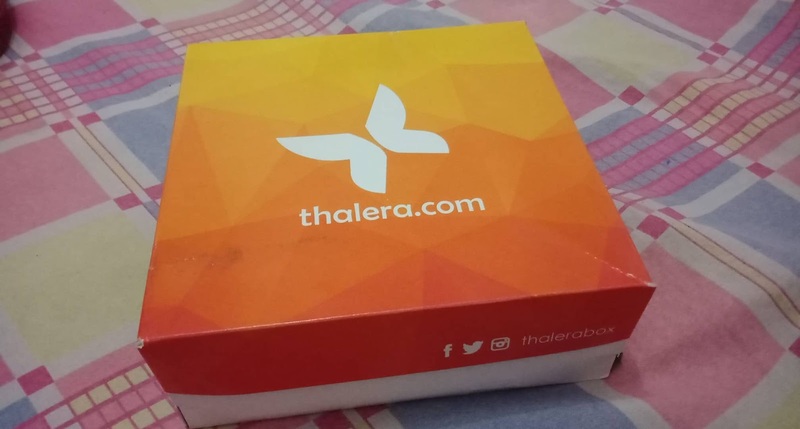 Thalera is the first ever FREE online subscription website based in the Philippines for consumers. 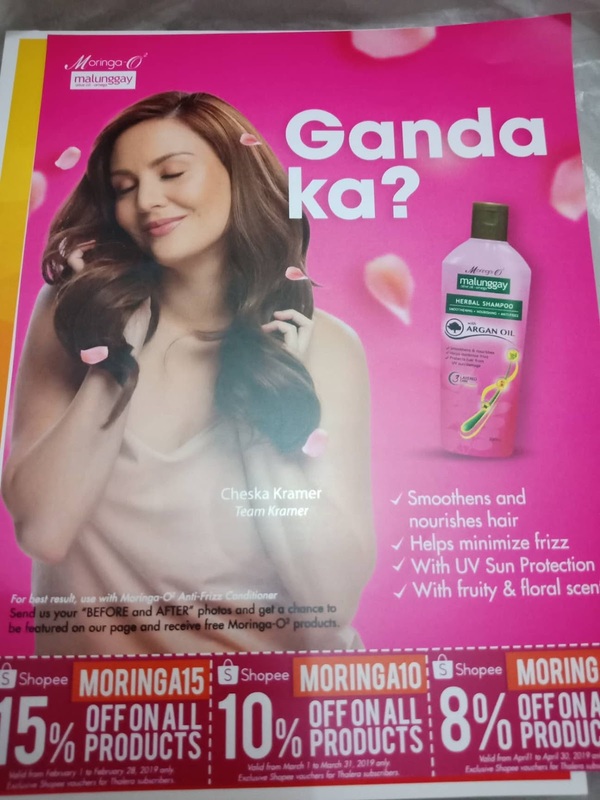 With just a click of a button, consumers can subscribe to our monthly release of freebies and experience products ranging from food, cookery, household necessities, health and beauty. This is the Thalera box. 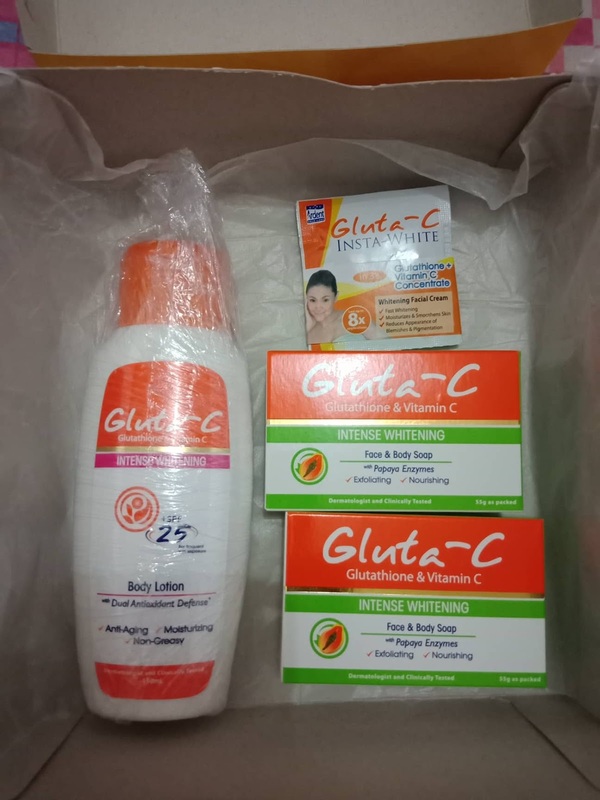 Lotion, soap, and cream, all from Gluta-C.
A moringa discount coupons that you can use to buy moringa products at Shopee. 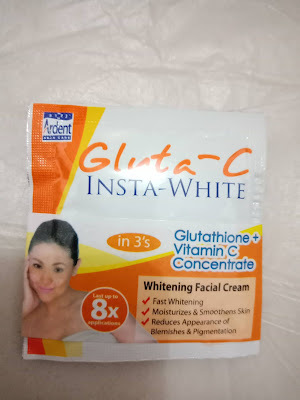 Gluta-C Insta-White. 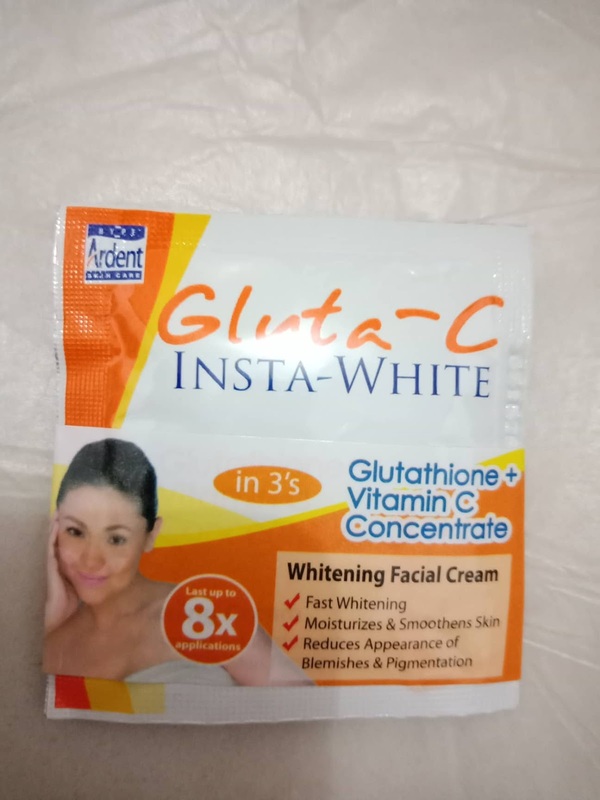 Glutathione plus vitamin C concentrate, whitening cream with benefits of anti-aging, moisturizing and intensive skin repair. Use it on your face and neck twice daily, in the morning and evening to achieve whiter, clearer and younger looking skin. I really need this because of the stress I've been experiencing every day being a stay at home mom. 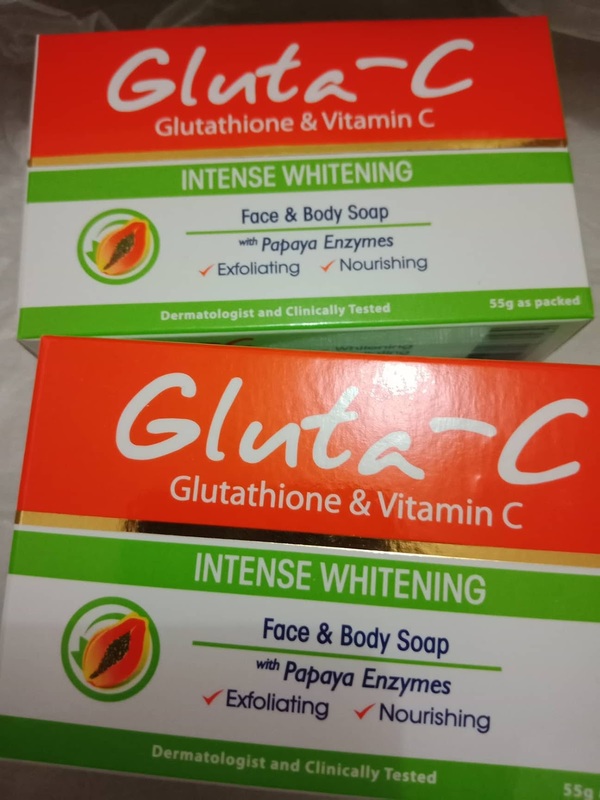 intense whitening, lighten dark spots and blemishes by helping minimize melanin levels, evening out the skin tone for a fairer and more radiant complexion. for exfoliating and skin-smoothening, lift away dead skin cells to help in cell renewal, revealing younger and smoother skin. skin nourishing, be this soap contains pro-vitamin b5 and allantoin that helps soothe and restore damaged skin. and most especially, an antibacterial that protects your skin from germs, keeping it healthier and smelling fresh longer. 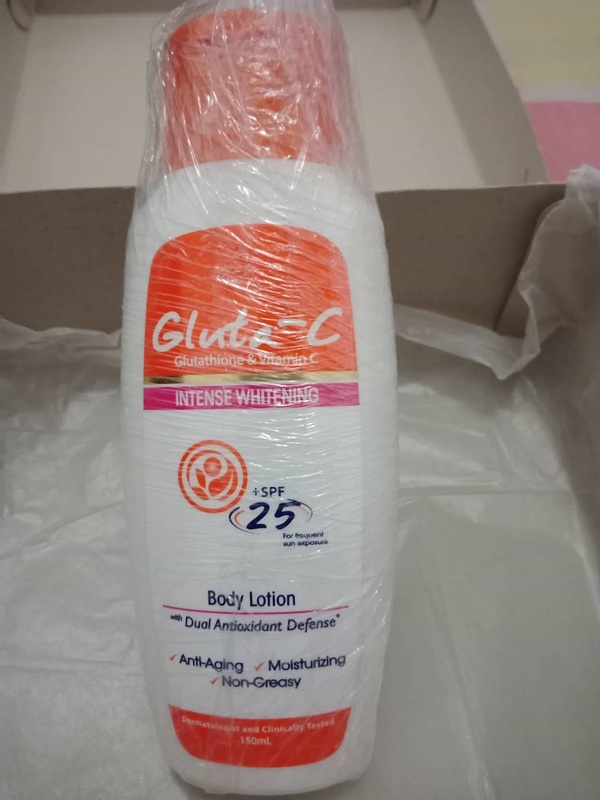 Gluta-C lotion that contains master antioxidants Glutathione and vitamin C with Shea butter and SPF 25 and provides intense whitening, anti-aging, moisturizing, nourishing, sun protection and non-greasy. Subscribe and fill up the form. Wait for the verification of your account through an email. 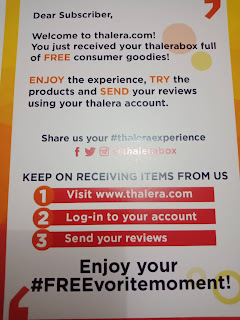 Send a review about the products and earn points on your Thalera account. 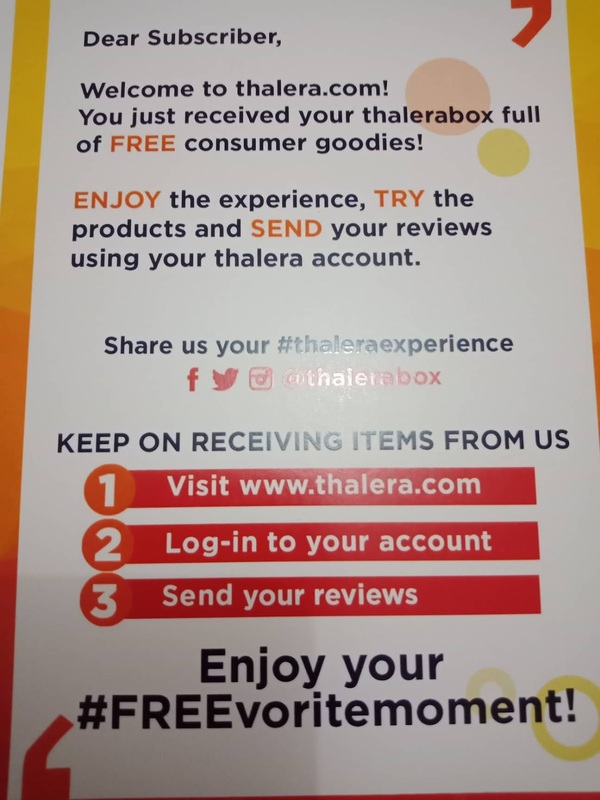 “ENJOY the experience, TRY the products and SEND your reviews using your Thalera account.” Don’t forget to share your #thaleraexperience, too!